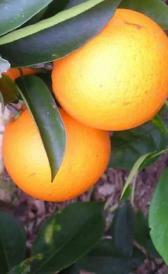 Raw oranges with peel: Raw oranges with peel is high vitamin c. On the other hand. is low in protein, total lipid and total sugars. Raw orange juice: This food is low in food energy, protein and total lipid but Raw orange juice has vitamin c in high quantity. Raw orange peel: High in total dietary fiber and vitamin c and low in protein, total lipid and total sugars. Raw tangerine juice: Raw tangerine juice is low in food energy, protein and total lipid. Raw papayas: This food is low in food energy, protein and total lipid but Raw papayas has vitamin c and beta-cryptoxanthin in high quantity. Canned papaya nectar: In food has a low quantity of protein, total lipid and ash. Raw peaches: Raw peaches is low in food energy, protein and total lipid. Raw pears: In this food there are some nutrients that are found in low quantity, for example protein, total lipid and ash. Canned in water pears: In food has a low quantity of food energy, protein and total lipid. Canned in juice pears: Canned in juice pears is low in protein, total lipid and ash. Raw japanese persimmons: This food has a low quantiti of protein, total lipid and ash but has a high quantity of beta-cryptoxanthin. Dried japanese persimmons: High in carbohydrate, total dietary fiber and potassium and low in protein, total lipid and total sugars. 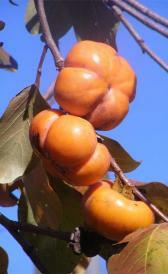 Raw native persimmons: Raw native persimmons is high vitamin c. On the other hand. is low in protein, total lipid and total dietary fiber. Raw plantains: In food has a low quantity of protein, total lipid and calcium. Cooked plantains: Cooked plantains is low in protein, total lipid and calcium. Raw plums: In this food there are some nutrients that are found in low quantity, for example protein, total lipid and ash. Raw pomegranates: In food has a low quantity of protein, total lipid and calcium. Raw prickly pears: Raw prickly pears is low in food energy, protein and total lipid. Canned prune juice: In this food there are some nutrients that are found in low quantity, for example protein, total lipid and total dietary fiber. 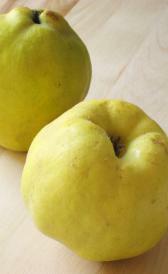 Raw pummelo: This food has a low quantiti of food energy, protein and total lipid but has a high quantity of vitamin c.
Raw quinces: Raw quinces is low in protein, total lipid and ash. Golden seedless raisins: Golden seedless raisins is high carbohydrate, total sugars and potassium. On the other hand. is low in total lipid, sodium and selenium. Seedless raisins: This food is low in total lipid, sodium and zinc but Seedless raisins has carbohydrate, total sugars and potassium in high quantity. Seeded raisins: This food has a low quantiti of total lipid, total sugars and sodium but has a high quantity of carbohydrate and potassium. Raw raspberries: Raw raspberries is low in protein, total lipid and phosphorus. Raw rhubarb: In food has a low quantity of food energy, protein and total lipid. Uncooked frozen rhubarb: In this food there are some nutrients that are found in low quantity, for example food energy, protein and total lipid. Raw roselle: This food has a low quantiti of protein, total lipid and total dietary fiber but has a high quantity of calcium. Raw rose-apples: In this food there are some nutrients that are found in low quantity, for example food energy, protein and total lipid. Raw sapodilla: In food has a low quantity of protein, total lipid and total sugars.